Archaeology is the study of human cultures by analyzing the material culture, meaning the sites and artifacts that people in the past left behind (Archaeology is not the study of fossils; that is Paleontology). Archaeologists discover things in the ground that give us clues to the past. So why is archaeology important? Archaeology is a quest for knowledge. We can learn from the past and use it to inform our present and future. Archaeology is central to our heritage and identity. We should protect our heritage for future generations. Archaeologists work in many places all over the world to understand how people lived – their government, culture, religion, art, science, technologies and daily social life, such as what they prepared, cooked and ate. Archaeologists are not all like Indiana Jones in the movies; they are not treasure hunters. Rather, they are ‘dirt detectives’ who use items they find in the ground, technologies and techniques to help solve the mysteries of the past. So how do archaeologists find their evidence? They dig into the ground and this digging is called excavation. He or she identifies a site that may be large or small. A site is simply a place where there is evidence of human activity. The archaeologist lays out a grid system of squares so that they can record where they find each item. The site is then excavated in a careful, measured and scientific way. This is done in layers known as stratigraphy. Sadly, many of the things we used in the past are perishable: organic materials like food and clothing usually decay and disappear over long periods of time. 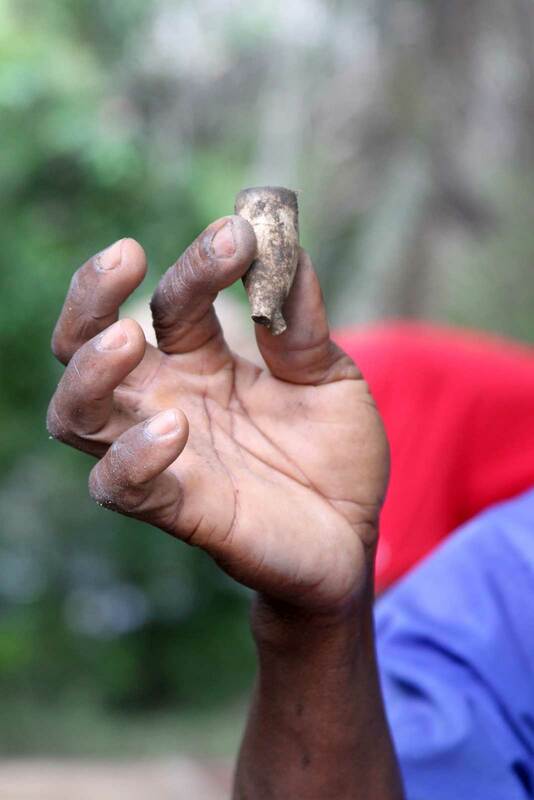 So archaeologists find the things that remain: pottery, ceramics, glass, beads, metals, bones, shells, seeds and so on. These are called artifacts and they provide the clues for understanding the past. Archaeologists rarely find whole objects buried in the ground but sometimes they find broken artifact fragments that can be pieced together like a puzzle. The precise location, in other words, the area and depth of objects found is recorded to provide context. For without context, an artifact has little or no scientific value. To use a meaningful illustration, artifacts found near the surface at Christiansborg Castle may be deemed post-colonial; for example, a bowl used by Ghana’s first President, Kwame Nkrumah. Artifacts found further down in the ground, such as a Danish smoking pipe, may reflect Danish traders at the castle. 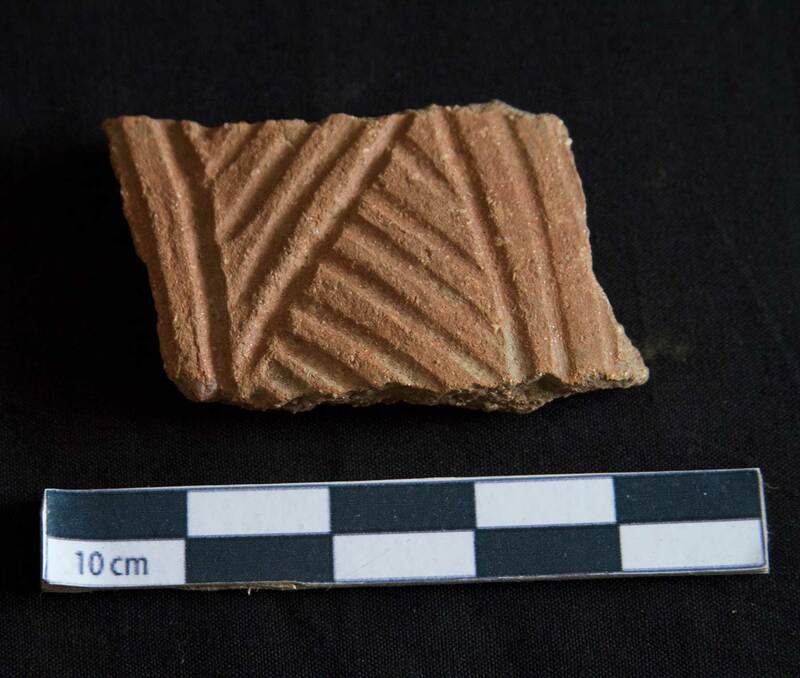 Even further down, a local pottery sherd or pottery fragment used in preparing local stew, may have been used by Ga indigenes who were the first inhabitants at the site. After excavation, artifacts are washed, numbered, catalogued and analyzed. Artifacts are carefully stored under the proper climate controlled conditions. Artifact collections are often brought out from storage and used in museum exhibitions. Other evidence may be non-portable and these are called features, such as the remains of former dwellings, storage pits and so on. The challenge is for the archaeologist to determine what was the function or purpose of all this evidence. To help answer these questions, historical archaeologists also use other sources such as oral histories, oral traditions, maps, written records and photographs together with the archaeological record. Come back and visit this website to learn more in the updates about the thrill and excitement of archaeology at the Christiansborg Archaeological Heritage Project!